Isthmian League, Premier Division. Saturday 12 September 2017, 3:00pm. This Tuesday night we welcome familiar opponents Brightlingsea Regent to the AGP Arena. The R’s were promoted to this level as Isthmian 1 North Champions. They started the season with a 1-1 draw at Tooting before losing to Leiston and Tonbridge. Their first win of the season came on the Bank Holiday weekend when Hendon left Essex having been beaten 2-1. Regent then made the trip in to Suffolk to face Needham Market. They returned to Brightlingsea with three goals and three points. As The Blues were beating Leatherhead on Saturday Brightlingsea were hosting Enfield Town. The R’s took a first half lead with their visitors equalising not long before the hour mark. The Regent scored again with less than 10 minutes ago and held on for the win. The three points moved Brightlingsea up in to tenth. Brightlingsea Regent were formed in 2005 when Brightlingsea United merged with Regent Park Rangers. United had joined the Essex Senior League in 1972, the second season since the competitions inception. They eventually won the Essex Senior League in 1988-89 and 1989-90 and were accepted in to the Eastern Counties League. 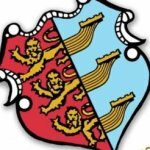 Brightlingsea Regent joined the Eastern Counties League, from the Essex & Suffolk Border League, in 2011. Within three seasons they were promoted to the Isthmian League, three seasons later they’d won the Isthmian 1 North. Brightlingsea United and Billericay Town first met each other in the Essex Senior League on Saturday 4 November 1972 at New Lodge. A Geoff Aslett double capped a 3-0 home win. The two sides met three more times that season ending in one match drawn and Town winning the next two. Tuesday 27 January 2017 was the night Billericay Town and Brightlingsea Regent first went head-to-head in the quarter-finals of the Essex Senior Cup. Rowan Liburd scored for The Blues as the match was drawn and Town won 3-2 on penalties. The two teams have met on three occasions. 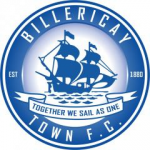 Billericay have won twice and there has been one draw. Town have scored 5 goals with Regent scoring 2. Visiting fans travelling by train will find two taxi ranks outside the station. A cab journey to the ground should cost around £5.00. Alternatively the High Street is a short walk from the train station and is home to several pubs, restaurants and café’s. The High Street is 10-15 minute walk from the ground. For those driving to the match there is secure parking available for £5.00, or street parking is limited along Tye Common Road. The gates will be open from 6:00pm. The clubs address is AGP Arena, Blunts Wall Road, Billericay, Essex CM12 9SA. Fans are asked to get to the ground in plenty of time, as tickets will need to be purchased from the ticket office prior to entering the ground. Tickets can also be bought from the club between 9 and 5. The ‘Town Crier’, the official matchday magazine, is available inside the ground for £3.00. 50/50 tickets are available from inside the ground for £1.00. Half the money raised goes to the holder of the winning ticket, with the other half going to the club. Saturday’s winning ticket earned it’s owner £220.